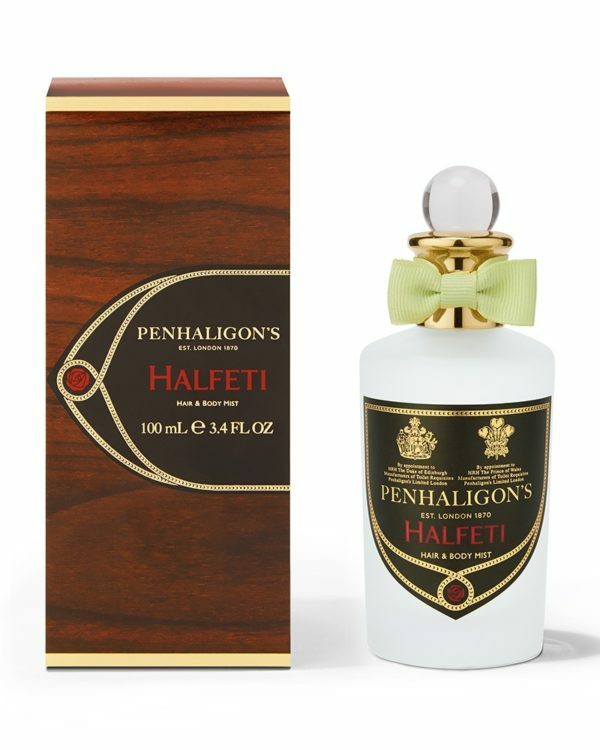 The pleasantly thrilling and hydrating texture for hair and body is equipped with nurturing argan oil and intense scent essences of Penhaligon’s exquisite Halfeti Line. Halfeti is an exquisite opulent and floral scent, which is guided by a bouquet of sweet flowers and lead by the facetious roses. Warm, strong and calming, Halfeti enfolds its overwhelming notes of vanilla, sandal wood and intense rose at heart. Accompanied by the base notes of piquant-leathery appeals, ambergris, intense resin and oud, the oriental composition stimulates the senses in a playful manner. The name of the strong scent goes back to the small Turkish village Halfeti, which was located next to the promenade of the Euphrates, where fertile grounds made for a lavishly green vegetation and unique rose types such as the black rose. 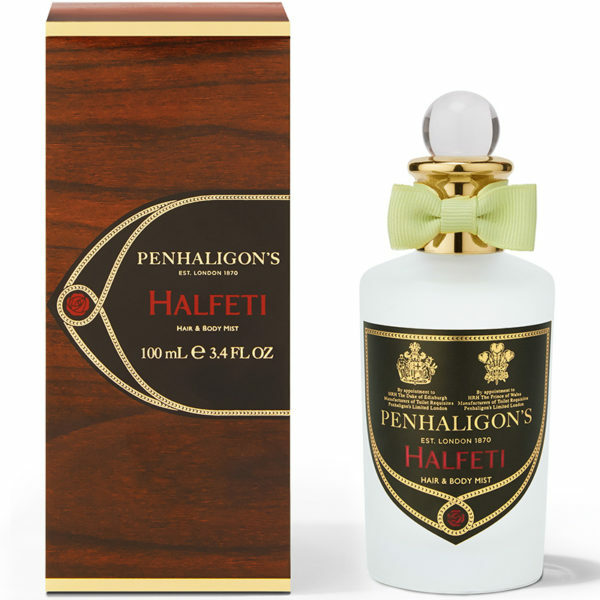 Halfeti is a scent of Penhaligon’s Trade Route Collection. This collection consists of five fragrances, which were inspired by luxurious, exotic goods, being traded at the turn of the 19th Century at the London docks.